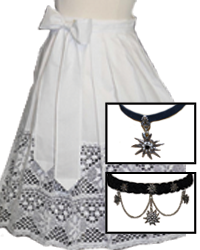 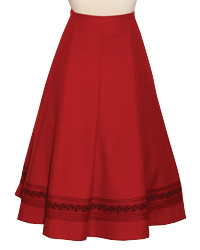 Petticoats or Half Slips for Dirndls & More! 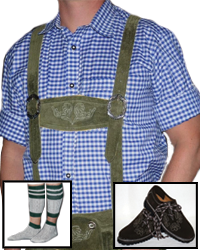 Dirndl, Lederhosen & Trachten Clothing that is perfect for Oktoberfest! 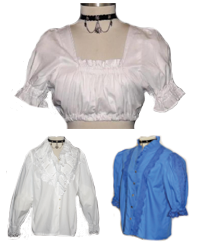 Miscellaneous Quick Shop Links: Buttons, Stag Horn & More | Boys & Girls German Clothing || Or Click Here to browse our entire selection of German Clothing on eBay! 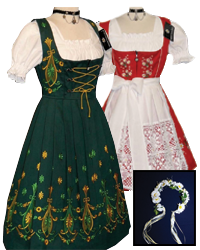 Whether you need a Dirndl for Oktoberfest or some Lederhosen for a German beer festival we have you covered. 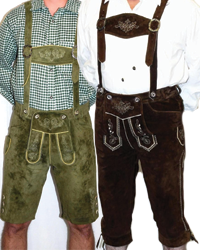 We carry an extensive line of high quality, authentic Trachten clothing from Germany, Austria, Italy and Europe – so grab your partner and head on down to a Bavarian festival near you! 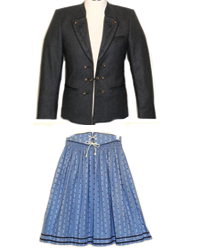 Do you work as a waitress, waiter or hostess at a German restaurant and need a uniform? 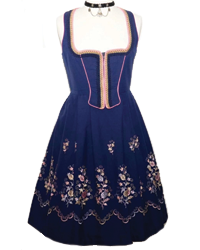 We carry beautiful Dirndls with crop tops and lace aprons for the ladies and for the gentlemen we have Lederhosen, German shirts, and socks. 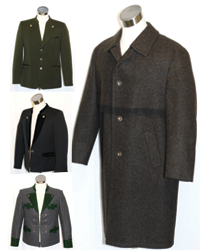 If you are going out on the town, going horseback riding or just going hunting with some friends we have outerwear as well. 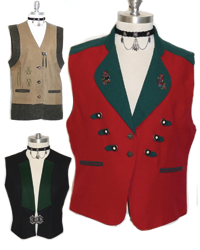 Our vests are beautifully made with hunting scenes and embroidery and our Trachten dresses, skirts and suits are cut perfectly to make you look great! 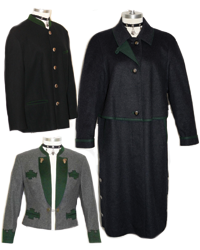 For those colder days or outdoor activities, we carry jackets, coats, capes, and sweaters that are sure to keep you warm! 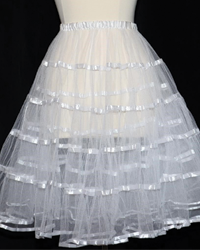 Since our designers use top quality materials such as boiled wool, leather, linen, and cotton to create these works of art our apparel is NOT costume quality. 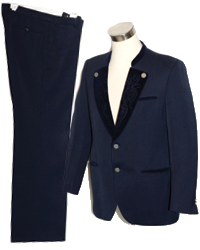 With embellishments such as deer horn buttons and embroidery, our outfits will make you the talk of the party. 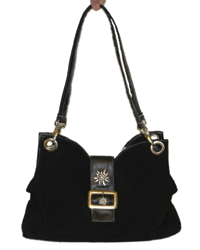 Oh, and if you are looking for named brand items look no further. 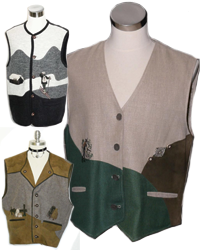 We carry Geiger, Zeiler, Giesswein, Alpen, Gossl, Salzburger, Julius, Lang, Loden, Distler, Lodenfrey, Pischl, Bogner and Admont.